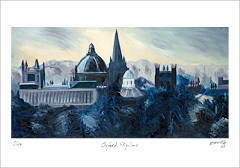 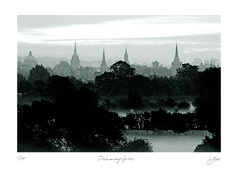 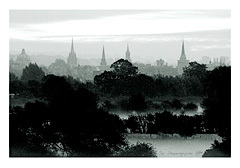 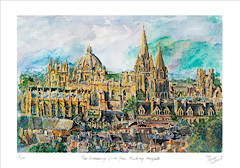 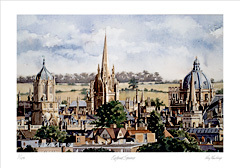 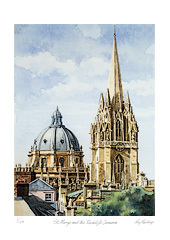 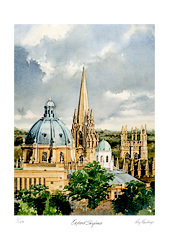 The city of Oxford is famous for its University and the ‘Dreaming Spires’. 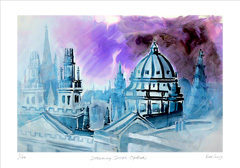 The phrase was coined by Matthew Arnold, who was once Professor of Poetry at Oxford, in his poem Thyrsis – ‘and that sweet city with her ‘Dreaming Spires’. 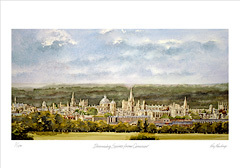 This view from Cumnor, west of Oxford, shows the turrets and spires of, amongst others, Exeter College, the Sheldonian Theatre, Lincoln College library, the Radcliffe Camera, Tom Tower, New College, St Mary’s, All Souls and Merton College chapel.